FeelMusic is a platform with more than 130 commercial or non-commercial music categories, 100,000+ songs, continuous updates and legitimacy. Sound equipment, event coverage, music applications for every need, are some of our services. 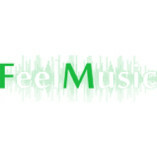 FeelMusic... has been providing high quality music services since 2001 and has been working with over 2,000 leading companies in the hotel, food and commercial industries.